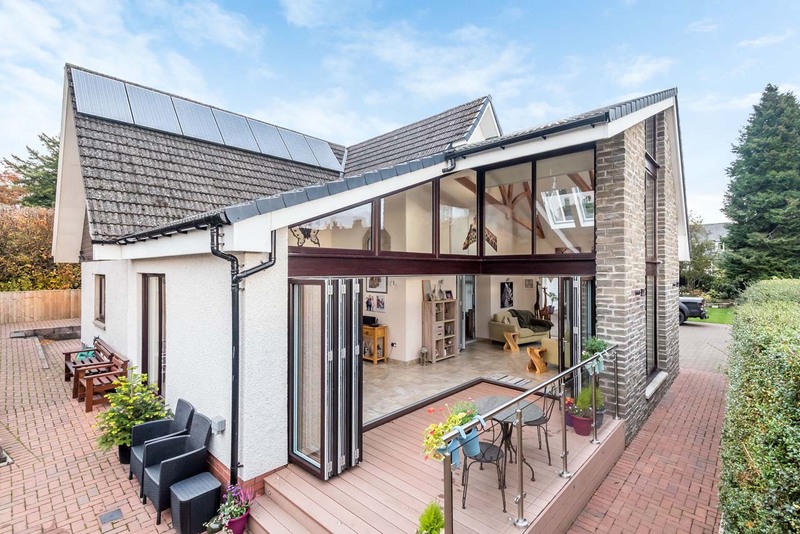 Garden room & kitchen extensions. 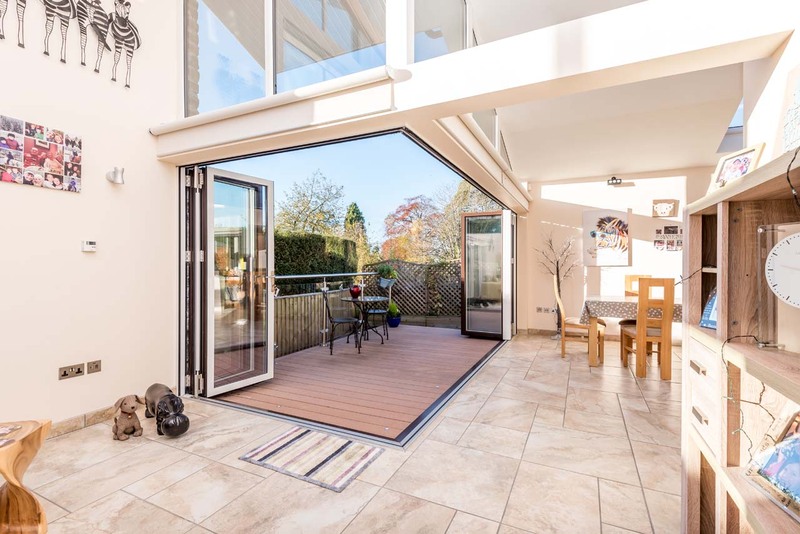 This dream developed from a simple idea of extending the kitchen and having a decked area for summer use into a much larger and stunning project where the garden and exterior area effectively became part of the living area and vice versa. This effect was achieved by the skilful use of decking, Denfind stone panelling, a glass/stainless steel balustrade and monoblock paving, all complementing the wonderfully colourful landscaped garden. 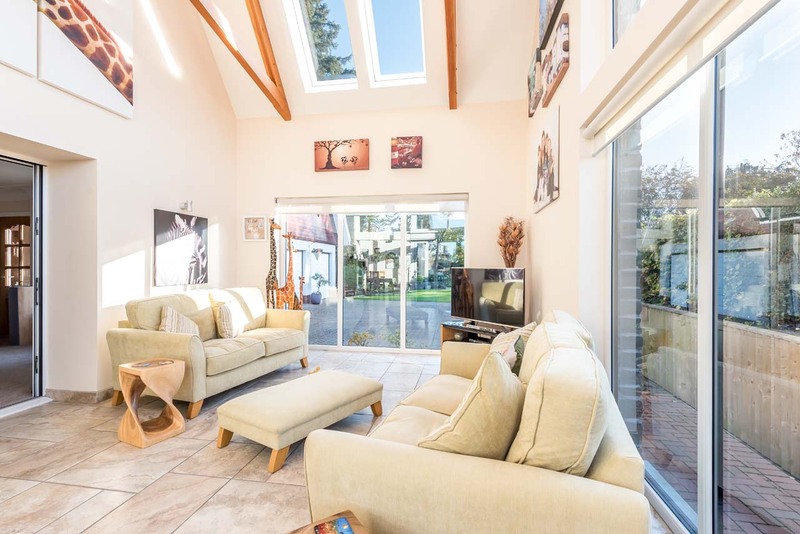 Internally, the clever mix of natural light and the light from the chandelier and uplighters produce a truly stunning effect, spreading different shades of white, highlighting the bespoke Douglas fir trusses and using the ceiling as if it were an artist’s canvas. Once completed, the effect was truly magnificent, a stylishly elegant and modern extension that would not look out of place in the pages of any of the glossy property or fashion magazine.